Back in August, I wrote a post about having embarrassingly, belatedly fallen in love with the music of The Kinks from the late 1960s through the mid 1970s. Today, I confess to another gaping hole in my musical education. For many years, I’ve heard people express their love for the music of Brian Eno, and in response I’d do one of two things: 1. If I was in a particularly strong egotistical state, I’d nod as if I knew exactly what they were talking about; 2. I’d admit that, while I’ve heard a lot about him, heard that he’d collaborated with or produced the work of numerous other music artists I was familiar with (David Bowie, Robert Fripp, David Byrne & Talking Heads, U2, Coldplay, etc. ), I’d never listened to one of his albums. Now, you’d think I’d be turned off by Meloy’s introduction, but my ignorance of Brian Eno’s music wasn’t the result of willful rejection, I’d always wanted to listen and learn, but I never got around to it. And so, last night, I watched the video, and while I watched, I took breaks from it to listen to, via Spotify, the albums mentioned. I can’t believe I’ve been without this music for all these years! From the very start of the first song — Needles In The Camel’s Eye — from Eno’s 1974 debut solo album — Here Come The Warm Jets — I was enthralled. And, one of the first things I noticed about the music was that it sounded so utterly contemporary. 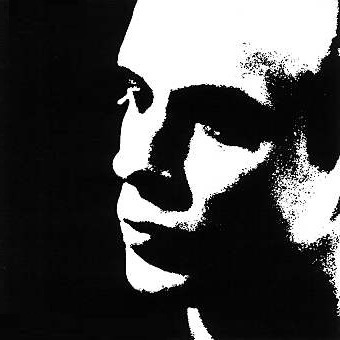 Eno’s aesthetic, his use of electronica and studio techniques to put a wickedly good spin on conventional pop songs, suddenly, surprisingly, made a lot of the great new stuff I’ve heard over the past 10 years sound not as original as I’d initially thought. And, as experimental and innovative as Here Come The Warm Jets was, the mark of a great music artist is an ability to evolve, and over the course of the six years covered in the video above, Eno was incredibly prolific, producing his own music, producing the works of others, collaborating on joint projects, developing deeply intellectual concepts and practices for the creative process and studio work, and his music morphed from quirky pop songs to Protopunk to abstract electronica, and finally ambient music. Of course, I’ve only scratched the surface and have a LOT of listening to do in order to fully absorb this unearthed, for me at least, treasure. In fact, if you’ll excuse me, I think I’ll have another go at his 1975 album, Another Green World, which, at first listen, is currently my favorite. I’m glad you’ve discovered him.. and what’s more he’s a stalwart Stop the War activist and all round good egg!! !